Cyprus will successfully exit its bailout programme this month after three years. The country has come a long way since 2013 when its banking sector was on the verge of collapse. The Cypriot economy went through heavy reforms and recovered using just €7.25 billion of its €10 billion rescue package. The banking sector was stabilised, a budget surplus was achieved (down from a 5.5% deficit in 2013) and the current account nearly brought into balance. However, this is just the beginning. As Harris Georgiades, the country’s finance minister, has pointed out, the upturn in the economy is “a result of the attempts and sacrifices of Cypriots”. They adhered strictly to the austerity measures put in place, got on with life and though there were some protests, they did not strike or react in ways that would delay the reform project. It was implemented as agreed with Cyprus' international creditors, the IMF, European Commission and European Central Bank. Georgiades has stressed, however, that “it is very important for the country to continue reforms with the same intensity, despite the positive signs in the economy”. So exiting the bailout and the return to markets does not signal the end of the reforms. The challenge of long-term sustainable growth remains and further structural changes are needed to make the economy more competitive, to create jobs and growth. It is important to understand that banks were not the only ones to blame for the crisis in Cyprus. This is vital to ensure past mistakes are not repeated. The way that public funds were managed before the crisis hit Cyprus was key to the economy’s derailment. Though the country has achieved a surplus, fiscal issues remain. Although the IMF declared that “the public finances have made good progress”, the fact that there is no detailed programme outlining the costs of health, education and the pensions sector for the next few years, generates worries of possible future recession in these sectors. In addition, the political and social context in which the banks operated has not changed significantly. The investigation into loan fraud at the Cooperative Bank last year indicates that there is no transparency of the way banks do business. The same goes for the way political parties are financed. To prevent and unmask other fraudulent activities, more efficient monitoring is needed for banks and their employees. In addition, trust in the government is low. A survey last year found that 80% of citizens are disappointed in their members of parliament. There is a belief that political parties do not behave responsibly in terms of passing legislation. Politics in Cyprus is driven by personal interests or the demands of party politics. This has come at the expense of policy. Cyprus remains an uncompetitive economy. Despite tourism being one of the focus areas for boosting economic growth, Cyprus is deemed an expensive destination for tourists due to high electricity, telecommunications, transportation and banking costs. Competitiveness is very low in the production of knowledge and innovation too. Cyprus is at the bottom of the OECD’s secondary education rankings. Poor educational performance does not help in the production of high paid jobs through the development of intelligent skills. This leads to an increase of unemployment of young generation. 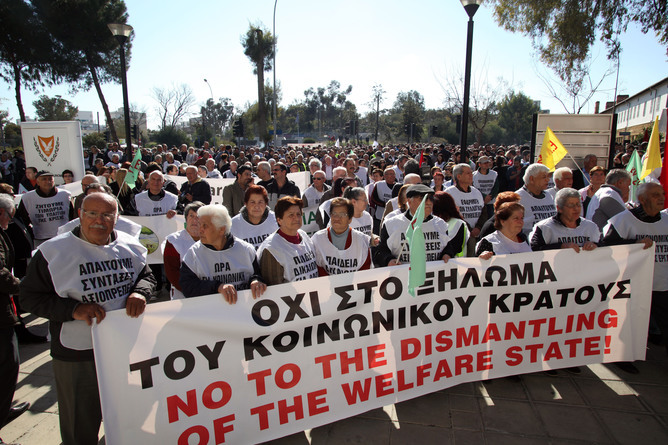 This is major problem for Cyprus – the unemployment rate is 15.6%. In spite of the reforms that have taken place, government structures remain highly bureaucratic and inefficient. The European Commission has said that reforms to state-owned enterprises like the telecommunications operator, CYTA, and the reform of the health sector have made slow progress. During the banking crisis, there was a silence among auditors as they collected large fees and dished out clean bills of health without raising any red flags. To prevent future crises, greater transparency and accountability is needed. In many ways, this goes without saying. 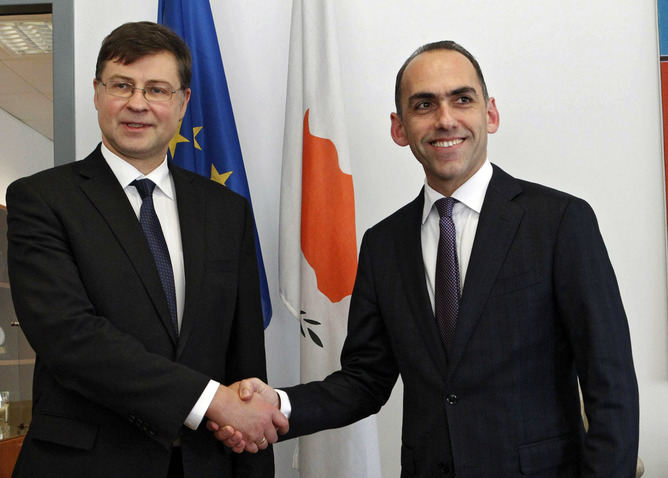 It is the continued reform across the Cypriot economy that is needed. If Cypriots continue to only blame the banks, the problems faced by citizens and potential foreign and local investors will go unsolved. Moreover, should the international financial environment once again worsen, Cyprus will be vulnerable. The case of Cyprus reflects that the causes of a financial collapse cannot be viewed from only an economic perspective. The social, cultural and political context of the country should be taken into consideration as they influence both crisis and recovery. See Also: For Cypriots, a Glimmer of Hope?